Nano Dimension is set for growth in Asia Pacific as it welcomes new Regional Director Gilad Reshef, charged with heading up Nano Dimension's Asia Pacific customer acquisition and support plan. Under his leadership, the region will launch the widely-anticipated Asia-Pacific Customer Experience Center and leverage a growing installed base of domain experts such as Singapore Nanyang Technical Institute. The focus on Asia Pacific regional expansion accompanies the accelerated global delivery of the groundbreaking DragonFly 2020 Pro 3D Printer. TriMech Solutions, an engineering solutions provider with a large presence across the Eastern USA and extensive defense partnerships, will target this market amongst other verticals, providing agile development of functional electronics for rapid prototyping and custom additive manufacturing of smart products. HDC in Seoul, South Korea, and General Integration Technology (GIT), based in Taiwan, will extend the company's regional reseller coverage to include Hong Kong and Singapore. 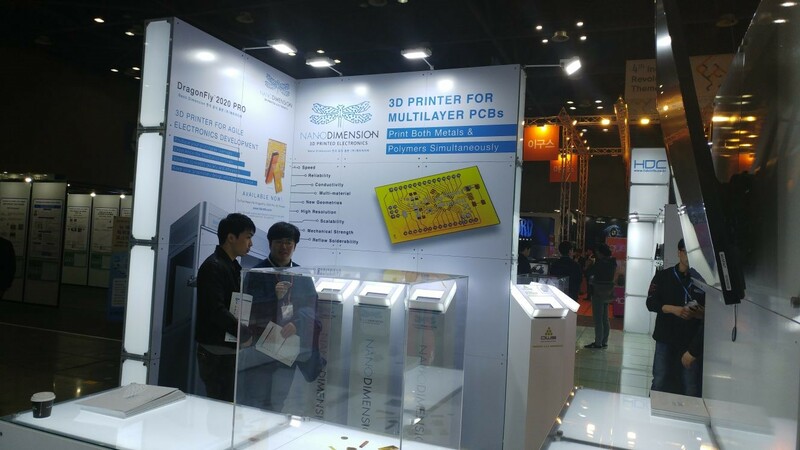 HDC specializes in 3D printing solutions and will be launching the first Asia-Pacific customer experience center in South Korea to showcase the award-winning DragonFly 2020 Pro 3D Printer. GIT specializes in 3D software and printing solutions and has a wide network of regional customers targeting the shoe, sporting and dental industries. GIT is also a reseller for Stratasys 3D printing solutions in the region. CDT, located in Istanbul, Turkey, is a regional provider of electronic design and automated solutions and will make Nano Dimension’s agile 3D printing solutions available to electronics, defense, automotive, aerospace and manufacturing companies and research institutions in Turkey, the Middle East and Central Asia. Moscow-based Ostec is the largest engineering firm in Russia, which provides innovative solutions to leading regional manufacturers for the agile development, manufacturing and testing of electronic equipment and printed circuit boards. EDA Technologies, located in Gauteng, South Africa, has more than 20 years of PCB engineering and electronics consultancy experience and provides professional turnkey electronics product development and manufacturing services. EDA has a wide customer base and partnership network in Southern Africa. We are excited to have launched the world’s first 3D printed electronics online service, giving designers and engineers new solutions to develop smart and electrified objects on demand, to print devices that can't be produced using any other method today. Companies and individuals can 3D print a wide range of free-form electrified products on-demand – with both conductive and dielectric materials – using the Dragonfly 2020 Pro 3D printing platform. With more indications that confidence in additive manufacturing and industry 4.0 is growing, Nano Dimension saw a $13.8 million investment in February 2018. With the closing of a public offering of American Depositary Shares, the total gross proceeds are $13.8 million. With sales of the DragonFly 2020 Pro 3D printer taking off since commercial sales began in the fourth quarter of 2017, Nano Dimension is looking forward to another exciting quarter. 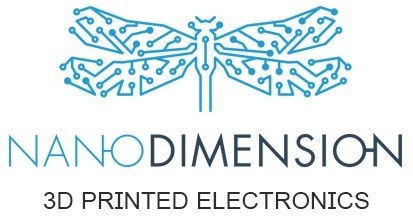 Technical Conference on Printed Electronics and 3D printing, Bromont, Canada, April 11 – Come and meet with Nano Dimension’s Materials Manager, Robert Even, who will be available to discuss printable electronics materials. The booth will be co-hosted with CADMicrosolutions. Automotive, Taiwan, April 11– Gilad Reshef, APAC director, will be presenting at the event. IDTechEx Show, Berlin, Germany, April 11-12 – Stop by our booth #B03, co-hosted with Phytec, for a demonstration of the DragonFly 2020 Pro in action. Udi Zamwel, product manager, will be presenting on multi-material 3D printing solutions. Expo Electronica, Moscow, Russia, April 17-19 – Stop by our partner Ostec booth. Design in the Age of Experience, Milan, Italy, April 19 – You’re invited to this exciting event in the heart of the design capital, where Nano Dimension’s CEO, Amit Dror, will present on 3D printed electronics and Industry 4.0. Rapid + TCT, Fort Worth, Texas, April 23 - 26 – This industry-leading event is not to be missed. Stop by booth #119, for an interactive experience with the DragonFly 2020 Pro. To get your free entrance to the show, please visit the following registration link and type in the promo code: 16086436. 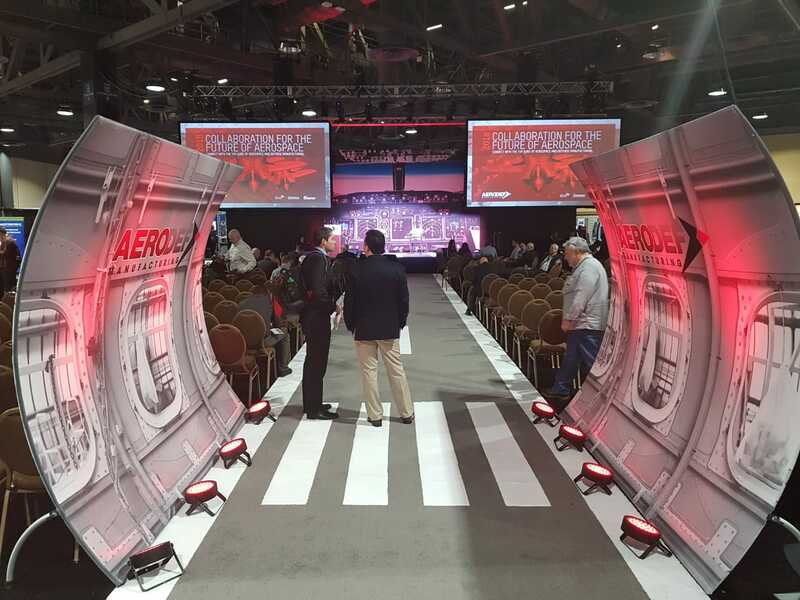 Nano Dimension USA President and Co-Founder Simon Fried, was honored to join leaders in the aerospace and defense manufacturing community to present at the AeroDef Manufacturing Conference. Drawing a crowd to the Long Beach Convention Center in California on March 27th, attendees came to learn more about how multi-material 3D printed electronics open doors to agile manufacturing solutions and grows revenue to compete with new products and applications in aerospace and defense. Click here to discover for yourself how new advances in 3D printers and nanoparticle inks enable the breaking of technology barriers to overcome challenges of multi-material 3D printing and 3D print fully functional electronics. You received this email because you are subscribed to Marketing Information from Nano Dimension.